The Neapolitan Mastiff dog breed is a family and guard dog who was developed in southern Italy. Today this massive breed is known as a gentle giant. See all Neapolitan Mastiff characteristics below! The slow, rolling gait of this unique breed might be described as lumbering, but there's no mistaking the power in each stride. As he approaches, his massive size, loose skin, and thick facial wrinkles evoke speechless awe, followed by the question, "What type of dog is that?" This striking gentle giant is the Neapolitan Mastiff, also known as the mastino. The Neapolitan Mastiff is history come to life. His ancestry is thought to date to 3000 BCE, the beginning of the Bronze Age, the time when Upper and Lower Egypt were unified and mastiff-like working and guard dogs emerged in Tibet. While his appearance is unnerving, looks are deceiving. The Neo, as he's often nicknamed, has a reputation for being an affectionate 200-pound lap dog. He is a constant guardian with an intimidating stare that he directs toward strangers, but he's far from being a fighting dog. Steady and loyal, his primary goal is to be with his people. He'll defend them with ferocity if need be, but he's typically not aggressive without reason. Like all puppies, young Neos are active, but they mature into adulthood with a preference for lounging around the home or yard. Although they're pretty mellow indoors, Neos aren't especially suited for life in an apartment or condo unless they have room to sprawl. Otherwise, they're likely to shove your furniture out of place or knock objects over in their attempts to find a comfortable resting spot. Older children will find the Neo to be a warm and comfortable backrest while watching television or doing homework. He may be too large and clumsy for younger children, however, accidentally knocking them over or stepping on them. When it comes to living with a Neo, neat freaks need not apply. The Neo drools after eating or drinking or when he's nervous, and he's notorious for passing gas. Keep a small hand towel for wipeups and a can of air freshener nearby at all times. On the plus side, he's a quiet dog who rarely barks. For the family who can provide this large and strong-willed dog with the firm, loving, and consistent guidance he needs, the Neapolitan Mastiff is a wonderful and unique companion who will provide protection and love for everyone in his family. A dog who will protect you, your family, and your home with all the strength and love it poses. Neapolitan Mastiffs do best in homes with a yard they can patrol. They are calm indoors however and can do fine in an apartment or condo big enough to accommodate their sprawl. Neos are generally clumsy dogs who have trouble navigating more than a few stairs, especially as puppies. The Neapolitan Mastiff is an average shedder and requires weekly brushing, plus close attention to cleaning his skin wrinkles and folds. He's an excellent deterrent to intruders, but rarely aggressive without cause. Socialize him early and often so that he learns how to behave around other people and animals. Neapolitan Mastiffs can be lazy and will become obese if he doesn't get much exercise. 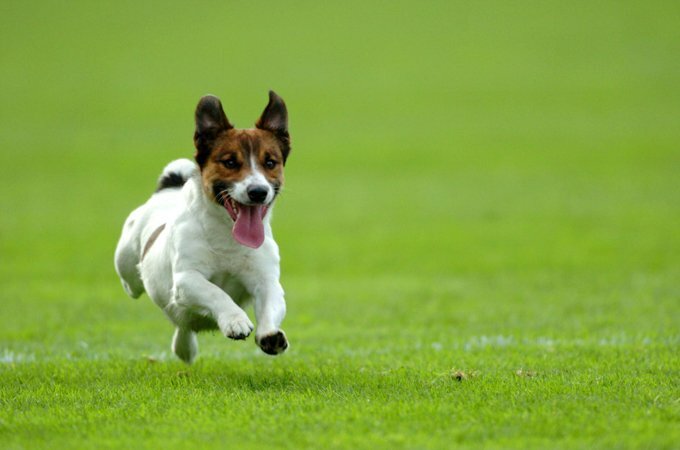 Make sure your dog maintains a healthy weight to avoid diseases that can significantly reduce his life span. The Neapolitan Mastiff is not recommended for a timid or first-time owner. This breed needs a confident trainer who is consistent and firm but also loving. The Neo is strong-willed and will test whether you really mean what you say. Neapolitan Mastiffs have a fearsome appearance and a deep bark, both of which are usually more than enough to deter even the most foolhardy criminals. Neapolitan Mastiffs have a number of what some consider offensive habits: slobbering, drooling, wheezing, grunting, snorting, and flatulence. Neapolitan Mastiffs love the outdoors, but they also love being with their family. They should live indoors with their people, not alone in the backyard. Young Neapolitan Mastiffs are rowdy, but it's important for their orthopedic development to prevent a lot of jumping or stair climbing until they reach physical maturity. Neapolitan Mastiffs can be destructive if bored. Give them regular exercise, social interaction, and training to keep life interesting. Neapolitan Mastiffs are good with older children, but can be too large for a toddler. They can knock over or step on small children without meaning to hurt them. Never buy a Neapolitan Mastiff from a puppy mill, a pet store, or a breeder who doesn't provide health clearances or guarantees. Look for a reputable breeder who tests her breeding dogs to make sure they're free of genetic diseases that they might pass onto the puppies and who breeds for sound temperaments. Mastiff-type dogs have existed for millennia. The first mastiffs are thought to have been developed in Tibet, some 5,000 years ago. The massive dogs were used in battle and served as guards, both tasks for which they were well suited. 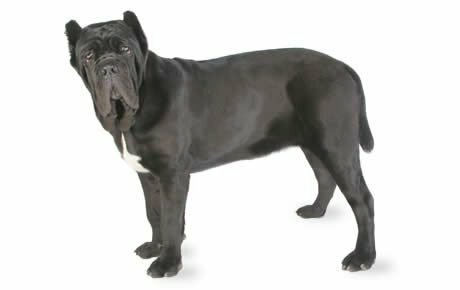 The dog that became the Neapolitan Mastiff was developed in southern Italy, in the vicinity of Naples, from which he takes his name. The Neapolitan breeders focused on creating a dog who was massive in size with heavy, loose skin that would protect him in case of attack. They also wanted a dog who would be loyal and loving toward family members. The Neo, or mastino as he's also called, might have remained in obscurity in Italy but for the chance attendance at a Naples dog show in 1946 by journalist Piere Scanziana. He saw the Neapolitan Mastiff and recognized the breed for what it was: a living remnant of the Roman Empire, a descendant perhaps of the mastiffs of Epirus who accompanied Roman consul Paolo Emilio on his triumphant entry into the city after defeating Perseo of Macedonia. Scanziani took an interest in the breed and worked to make it become more well known. He was instrumental in writing the breed standard and in the Neo's recognition by Italy's national dog registry. The dogs were given the name Mastino Napoletano. One of Scanziani's dogs, Guaglione, became the first member of the breed to become an Italian champion. The breed was recognized by the international dog registry, the Federation Cynologique Internationale (FCI), in 1949. By the early 1970s the Neo had gained some popularity in Europe. The first Neo known in the United States was imported by Jane Pampalone in 1973, although Italian immigrants may have brought some of the dogs with them as early as the 1880s. The Neapolitan Mastiff Club of America (NMCA) was formed in 1973 and kept a registry of pedigrees, lineage, and ownership for the majority of American Neapolitan Mastiffs. The club's other function was to educate people about its well-loved breed. In the 1990s, the American Neapolitan Mastiff Association and the United States Neapolitan Mastiff Club were formed. The American Kennel Club recognized the breed in 2004. Today, the Neo ranks 112th among the 155 breeds and varieties registered by the AKC. Male Neapolitan Mastiffs stand 26 to 31 inches at the shoulder and weigh 150 to 200 pounds. Females are 24 to 29 inches tall and weigh 120 to 175 pounds. Steady and solid as an oak tree, the Neo is a guardian rather than an attack dog. He's always alert and aware, even if it looks like he's relaxing. If you aren't home, they simply won't let anyone onto your property. And really, who's going to argue with them? When you welcome someone, though, your Neo will accept that person as well, although he'll probably remain aloof. This isn't a "hail fellow, well met" kind of dog. The Neo is affectionate toward his family, but he's also strong-willed — and big enough to have his own way. Begin training early, be firm and consistent, and use positive reinforcement techniques, such as praise and food rewards. As with every dog, Neapolitan Mastiffs need early socialization or exposure to many different people, sights, sounds, and experiences. Socialization helps ensure that your Neo puppy grows up to be a well-rounded dog. Neapolitan Mastiffs are generally healthy, but like all breeds, they can be subject to certain health conditions. Not all Neos will get any or all of these diseases, but it's important to be aware of them if you're considering this breed. Hip Dysplasia: This is a heritable condition in which the thighbone doesn't fit snugly into the hip joint. Some dogs show pain and lameness on one or both rear legs, but you may not notice any signs of discomfort in a dog with hip dysplasia. As the dog ages, arthritis can develop. X-ray screening for hip dysplasia is done by the Orthopedic Foundation for Animals or the University of Pennsylvania Hip Improvement Program (PennHIP). Dogs with hip dysplasia should not be bred. Hip dysplasia is hereditary, but it can be worsened by environmental factors, such as rapid growth from a high-calorie diet or injuries incurred from jumping or falling on slick floors. Elbow Dysplasia: This is a heritable condition common to large-breed dogs. It's thought to be caused by different growth rates of the three bones that make up the dog's elbow, causing joint laxity. This can lead to painful lameness. Your vet may recommend surgery to correct the problem, or medication to control the pain. Cardiomyopathy: This heart condition occurs when the heart muscle becomes very thin and is unable to contract normally. Because the heart must work harder, it becomes enlarged. Dogs with this disease have an abnormal heart rhythm and show signs of heart failure, including weakness, loss of appetite, weight loss, depression, collapse, difficulty breathing, a soft cough, and an enlarged abdomen. There is no cure, but rest, diet, and medication can help for a time. Cleft Palate: The palate is the roof of the mouth and separates the nasal and oral cavities. It is made up of two parts, hard and soft. A cleft palate has a slit that runs bilaterally or unilaterally and can range in size from a small hole to a large slit. A cleft palate can affect both the hard and soft palate separately and together and may cause a cleft lip. Puppies can be born with cleft palates, or a cleft palate can occur from an injury. Cleft palates are fairly common in dogs, but many puppies born with a cleft palate do not survive or are euthanized by the breeder. The only treatment for a cleft palate is surgery to close the hole, although not all dogs with a cleft palate require the surgery. It is important to get a diagnosis and treatment recommendation from your veterinarian. Demodicosis: All dogs carry a little passenger called a demodex mite. The mother dog passes this mite to her pups in their first few days of life. The mite can't be passed to humans or other dogs; only the mother passes mites to her pups. Demodex mites live in hair follicles and usually don't cause any problems. If your Neo has a weakened or compromised immune system, however, he can develop demodectic mange.Demodectic mange, also called demodicosis, can be localized or generalized. In the localized form, patches of red, scaly skin with hair loss appears on the head, neck and forelegs. It's thought of as a puppy disease, and often clears up on its own. Even so, you should take your dog to the vet because it can turn into the generalized form of demodectic mange. Generalized demodectic mange covers the entire body and affects older puppies and young adult dogs. The dog develops patchy skin, bald spots, and skin infections all over the body. The American Academy of Veterinary Dermatology recommends neutering or spaying all dogs that develop generalized demodectic mange because there is a genetic link. Fold Dermatitis: A skin infection caused by moisture trapped in the folds of the skin. The signs of fold dermatitis are redness, sores, and odor. The dog can be affected on the tail, face, lips, vulvar folds, or any other wrinkled area. Mild cases of fold dermatitis are usually treated with topical ointments or antibiotics, but severe cases may require surgical removal of the folds or amputation of the tail in the case of fold dermatitis on the tail. Keep your Neo's wrinkles clean and dry to prevent this problem. Find a good breeder: If you're buying a puppy, find a good breeder who will show you health clearances for both your puppy's parents. Health clearances prove that a dog's been tested for and cleared of a particular condition. In Neos, you should expect to see health clearances from the Orthopedic Foundation for Animals for hips, elbows, and heart, as well as certification from the Canine Eye Registry Foundation (CERF) that the eyes are normal. Because some health problems don't appear until a dog reaches full maturity, health clearances aren't issued to dogs younger than two years old. Look for a breeder who doesn't breed her dogs until they're two or three years old. The Neo is best suited to a home with a fenced yard. Although he's a homebody and not prone to wandering, a fence will help him to know the limits of his property, an important bit of knowledge for a guard dog. It's critical to understand your Neo puppy's physical limitations; exercise him in a controlled manner so his bones and joints don't undergo too much stress during the formative period. This means short periods of free running and play and short walks on leash only. Stairs are another hazard for the Neo puppy. He's clumsy and can easily fall and hurt himself. Carry him up and down the stairs for as long as possible, and try to restrain him from running on them. Avoid roughhousing or wrestling. You never want your adult Neo to think it's okay to play rough with you. It might have been cute when he was a puppy, but it can be dangerous once he's full-grown. Neapolitan Mastiffs don't make great jogging companions and are usually happiest when curled up on the couch. An adult Neo will benefit from a couple of short to moderate daily walks, however. He's sensitive to heat and humidity, so schedule walks for cool mornings and evenings, and be sure he always has a cool place to rest and plenty of fresh water. If you have a pool or spa, restrict your Neo's access to it unless you're there to supervise. This is a top-heavy dog who doesn't swim well and has difficulty keeping his head above water. Start training your Neo as soon as you bring him home, while he's still at a manageable size. Enroll in a puppy socialization class to accustom him to being around other dogs and people. This is extremely important for the Neapolitan Mastiff, who can be aggressive toward other dogs and people if he isn't taught manners. In addition to puppy kindergarten and regular obedience class, take your Neo to parks, outdoor shopping malls, and other places where he can learn to meet people and become accustomed to new experiences, sights, and sounds. The Neo is headstrong and needs a confident trainer. Use positive reinforcement techniques, never physical punishment, but be firm and consistent in what you ask of him. Think beyond puppyhood. If you don't want your Neo on the furniture when he weighs 200 pounds, don't let him on it when he only weighs 20 pounds. Once a habit is established, it will be difficult to break. Housetraining shouldn't be a problem as long as you make it a positive experience and provide your pup with a regular potty schedule and plenty of opportunities to go outside. Crate training is a wonderful tool for housetraining and keeping your young puppy from chewing things he shouldn't. The Neapolitan Mastiff needs a firm hand when training, but he also needs love and patience. When he's trained, you'll find that he's a wonderful, caring, and loyal companion who will gladly risk his life to defend yours. Recommended daily amount: 4 to 6 or more cups of a high-quality dog food daily, divided into two meals. Keep your Neo in good shape by measuring his food and feeding him twice a day rather than leaving food out all the time. If you're unsure whether he's overweight, give him the eye test and the hands-on test. For more on feeding your Neapolitan Mastiff, see our guidelines for buying the right food, feeding your puppy, and feeding your adult dog. The Neo's face is made up of heavy, velvety wrinkles and folds that extend from the outside margin of the eyelids to the dewlap (the loose, pendulous skin under the throat and neck), and from under the lower lids to the outer edges of the lips. Cleaning and keep the wrinkles dry is an important part of grooming this breed. The body skin is thick and abundant. The short, dense coat is the same length and smoothness all over the body, with straight hairs that are no longer than one inch. The Neo has a coat that comes in solid gray, black, mahogany, and tawny or in tan brindle, in which the dog appears dark with tan stripes. A Neo with a white spot on the head is disqualified from the show ring, but it doesn't affect his ability to be a companion or guardian. The Neo sheds about as much as the average dog. Weekly brushing with a bristle brush or hound glove will keep his coat clean and free of loose or dead hair. Check the wrinkles to see if they need cleaning. Wipe them out with a damp cloth and then dry the skin inside the folds thoroughly. Bathe him as needed, and prepare to get wet when you do. Other grooming needs include dental hygiene and nail care. Brush your Neo's teeth at least two or three times a week to remove tartar buildup and the accompanying bacteria. Daily is better. Trim his nails once or twice a month, as needed. If you can hear the nail clicking on the floor, they're too long. Short nails keep the feet in good condition and won't scratch your legs when your Neo jumps up to greet you. Introduce your Neo to being brushed and examined when he's a puppy. Handle his paws frequently — dogs are touchy about their feet — and look inside his mouth and ears. Make grooming a positive experience filled with praise and rewards, and you'll lay the groundwork for easy veterinary exams and other handling when he's an adult, essential when you're dealing with a dog this size. The Neo is suitable for families with older children, but he can be too big and clumsy to spend much time around toddlers. While he'll never intentionally hurt them, he can easily knock them over or step on them. Make it a rule that children are never to run and scream in a Neo's presence. The noise and activity can excite him, and he's simply too big to be allowed to chase children or play roughly with them. He may also feel the need to protect "his" children from other kids, especially if they're wrestling or otherwise appear to be fighting. Always supervise play so that he knows you're in charge. Teach your child to never approach any dog while he's sleeping or eating or try to take the dog's food away. No dog, no matter how good-natured, should ever be left unsupervised with a child. The Neo is not fond of dogs he doesn't know, although he can learn to get along with those he's raised with. He can also get along with cats if he's raised with them. If you're interested in adopting an adult Neapolitan Mastiff who's already gone through the destructive puppy stage and may already be trained, a rescue group is a good place to start.